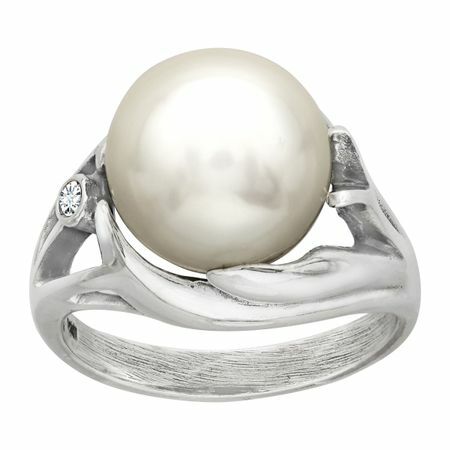 A beautifully fashionable pearl ring that will add flare to your wardrobe. This Victorian ring by Van Kempen features a 10mm simulated shell pearl and Swarovski crystals that are set in sterling silver. Ring face measures 1/2 inches in width.